My first reaction was: FFS! Defining the defence platform as a jobs program? If you look at my original platform, I didn't kill the National Shipbuilding Procurement Strategy like I would like because I was recognizing the political reality that this trap that Harper set (not unlike the tax cuts and "surpluses") was unavoidable. But embracing it this much? Yuck. The Navy has done a real nice job of positioning itself in these battles, I have to admit. 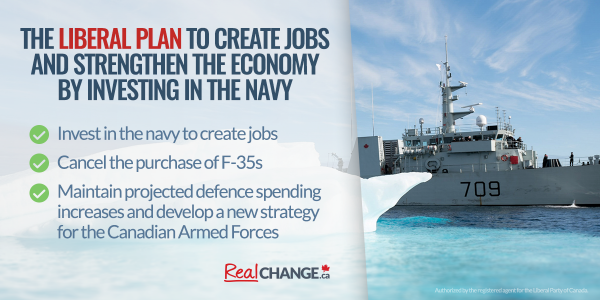 "Expand the capital renewal of the Royal Canadian Navy." Maybe that just admits that the costs are going to grow, not that they will build more ships than already promised. The existing promises seem unrealistic given the increased expenses, so more ships? No. The full platform is here. How do I feel about the rest of it? It is pretty good... and probably the one closest to my preferences, as I am far more an internationalist than the NDP (see my guess at their platform) and I am very frustrated with the current government for a whole host of reasons. So, the Liberals' promise not to lapse spending is a big one for me, as I hate the Conservatives' duplicitious cuts through the backdoor. As a friend pointed out, the basics of this are not that different from the Conservative strategy--defend Canada, support multilateral efforts, etc. No major re-prioritization so most programs can go ahead. What cannot? The F-35. 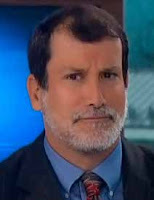 They have a heap of contestable math in their platform about the F-35 and alternatives. But they recognize something that the Conservatives would like to ignore and that Michael Byers has pointed out: the decline of the Canadian dollar makes the F-35 even more frickin' expensive. The new white paper? Yep. About time and something I anticipated. Nice to see NORAD and NATO mentioned since Liberals have supported both for generations. Nice to see more transparency and parliamentary oversight. Of course, the latter only will matter if the Liberals relinquish the strict agenda control that the Conservatives imposed on the Defence Committee. Ah, but the likelihood of minority government means that no party will be controlling the agenda of the committee, and that is a good thing. The Transformation stuff is not surprising given Andrew Leslie's role in the campaign, but the promise of cutting admin for more teeth to tail is an easy one to make and a hard one to implement. Why? Of course, administration is unpopular, but these folks are the ones making the decisions. More importantly, every time Dave Perry talks about the busted procurement process, he mentions that DND/CAF lack the personnel to do multiple projects at once. Guess what? Those folks are "admin." Cutting the Iraq bombing mission? Well, the planes are not doing that much. They could have been clearer that this withdrawal would be met by more trainers for the Iraqi ground forces so that the Canadians keep the same size commitment but will be doing different stuff. And yes, this aversion to bombing is strange since the Liberals did plenty of bombing in the past, but if one has to appeal to potential NDP voters, I guess one has to focus on less kinetic stuff. The big problem is one that I mentioned after attending a closed door (I have no idea why) panel on defence procurement. Dave Perry was there and was willing to have his comments shared more widely (tis his job, after all). And he did a nice job of showing how truly screwed the next government is, whoever is running it. Why? Decades of mistakes and delays by Liberals and Conservatives have meant that Canada has to make many decisions on many programs and make some hard decisions. Like moving away from a full spectrum military that can do a bit of everything. It is just too expensive. 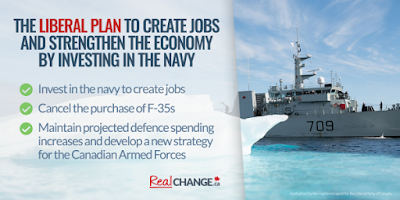 And Harper, as I mentioned, has created some traps, such as turning the navy's future into bids for votes, that all procurement must now consider the industrial benefits, which is problematic when cheaper/better versions may be available elsewhere. Where Is Helen Milner When You Need Her? APSA Needs .... A Stunt Baby! Peace, Order and Good Government: Not!